Last year we had many of the best artist in the comic book industries visit our store along with the best cosplayers in Miami, making the 1st Annual Miami’s BIGGEST Free Comic Book Day bigger than we’ve ever expected, setting record number in attendance in Miami. This year we have invited the BIGGEST GUEST and the BEST Vendors, and we are set to BREAK records once again! Mark your calendars and save the date, you don’t want to miss this. 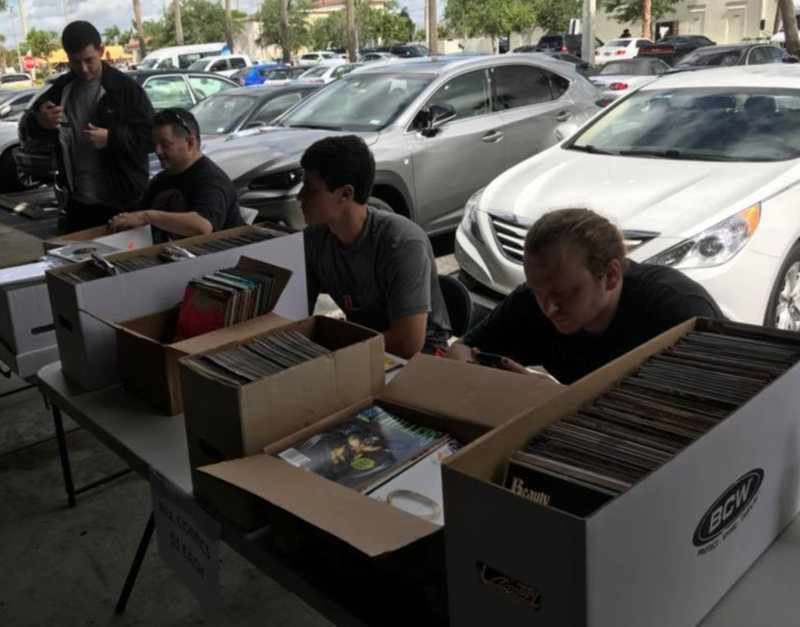 Miami’s 2nd Annual BIGGEST Free Comic Book Day 2019! This year’s free comic book day multiverse corps. comics has invited some artist that are not only awesome at illustration but are A-M-A-Z-I-N-G! This Year’s Free Comic Book Day is going to be one for the ages, this is a not to miss the artist stopping by is not to miss. You’ve never seen Free Comic Book Day Guest Artist quiet like this in Miami! Miami’s BIGGEST Free Comic Book Day just got BIGGER! Superstar Comic Book Artist Ryan Ottley will be making his way exclusively at our store. Greg Kirkpatrick is not only a local legend in the field of indie comics, but his smooth detailed, colorful sketches have made him one of the most sought after artist when convention season comes around. You’ll find Greg here at the store during Miami’s 2nd Annual BIGGEST Free Comic Book Day at Multiverse Corps. Comics. The cosplay community has been really huge in Southern Florida, and a lot of up and coming cosplayers are located here in Miami along with season veteran cosplayers as well. Multiverse Corps. Comics has been a great supporter of this community and we continue this support by welcoming the BEST COSPLAYERS IN MIAMI at this years BIGGEST FREE COMIC BOOK DAY on May 4th. No you’re not going crazy, the 501st legion will be making their way on the BIGGEST time of the year at Miami’s 2nd Annual BIGGEST Free Comic Book Day at Multiverse Corps. Comics. We are extremely excited to have them back and we know ya’ll are VERY VERY EXCITED. Since this is such a special occasion as well (Star Wars Day) the Legion will be there at full force; 7 Legion Members will be at our location. Marking this as one of the LARGEST Gathering of the the 501st for a comic book store event in Miami! Save the date and mark your calendars: YOU WON’T WANT TO MISS THIS! Miami is full of amazing cosplayers and these two ladies are the herald leading the charge. These ladies are putting Miami cosplay on the map with their spitting image likeliness of their characters, awesome builds and friendly attitudes and out going personalities. They’ve also donated their time during our store’s ‘MCC Cares’ initiative where we donate our time and visit children’s hospital to cheer some kids up with congenital heart disease. Stop by during our 2nd Annual Miami’s Biggest Free Comic Book Day from 1pm - 6pm and take some pictures and say hi or just chat with these lovely ladies and find out more about them. We are EXTREMELY humbled and excited to have the local new station The CW which produces and distribute show like; Arrow, The Flash, Supergirl and DC’s Legends of Tomorrow will be in hand to cover this event. So don’t forget to say Hi! you’ll never know you may just be on TV! We love it…You love it…everybody loves it! 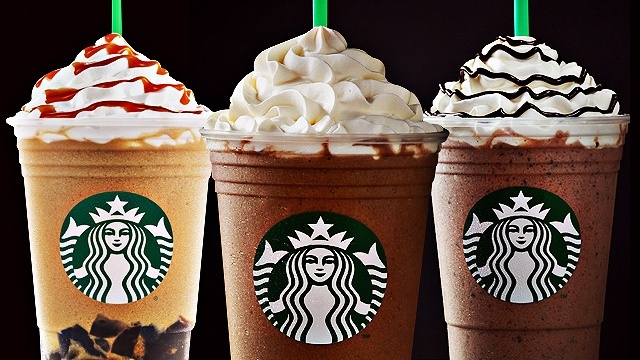 Our local Starbucks will be taking part her during Miami’s BIGGEST Free Comic Book Day…this is a match made in heaven! The Big Red Bus will be making it’s way back at our store. Last year we’ve donated nearly 10 gallons of blood (collectively from all our events). They will be in hand here during the BIGGEST Free Comic Book Day. Please give and share what you can and help others that are in need. Looking for comic book gems? We’ll have them here as well…we have so far 3 local vendors setting up and we have spots for 2 more! You’re sure to find Gems, on Gems on Gems!